There are two of my favorite site in my google reader that their domain name has been stolen, MakeUseOf.com and David Airey. All of the incident have two things in commons, they both use Gmail as their web mail to store valuable information and use Goddady as their Registrar. I dont want to discuss about Godaddy but i would like to describe about Gmail, because by far Gmail to me is the best web mail, and i’d like to share tips to check whether you account has been hack or not. 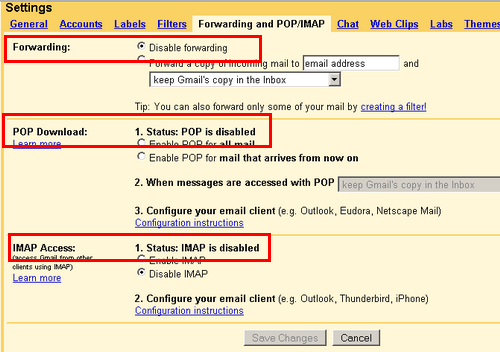 One of the common method to know whether your gmail account has been compromised by cracker (Person who use hacking to do evil things) is by checking the “Filters” and the “Forwarding and POP/IMAP” in the setting page of your Gmail. 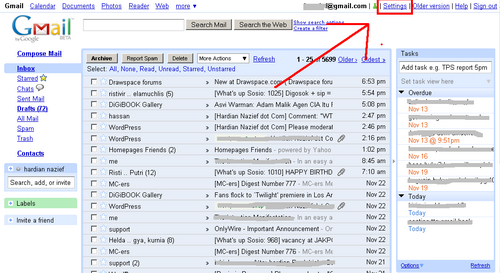 This is just one way to check whether your gmail has been compromised or not, i don’t know other method. If u never use Filters tab before then there should be no list in it, but if you have use it, check the filters and double check to make sure you dont forward it to unidentified email. If u found a list on the filters that u dont know, delete it right away. Capiche? u could leave a comment to ask more. OMG, There are unauthorized changes that i didn’t know?! (like adding filter or POP setting)!! First delete it right away and change the gmail password. If u ever store password about others critical site on your gmail account, for god sake change it quickly. Make your password really strong, u could check how strong your password in Microsoft Password checker and read about Strong passwords: How to create and use them(Microsoft) too. 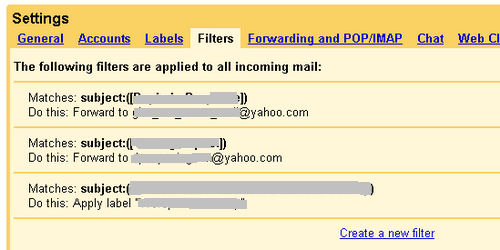 Note: if u still not confident using Gmail, u could always use Yahoo or personal email using your domain name. – Wpdesigner Themes Club Accounts Giveaway!! Previous PostTrek Motivational PosterNext PostBras For Men: The Video!